Here at Malcolms, we believe in supporting the local community. We regularly sponsor local individuals undertaking challenging pursuits for charities, and we also believe in supporting the local organisations and businesses that surround us here in Cambridgeshire. 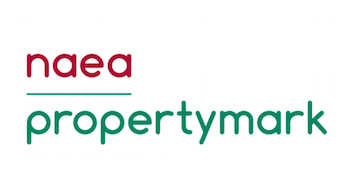 Our new ‘Village Guides’ aim to provide a free online platform for local organisations and businesses, offering powerful exposure to a market of home buyers. If you are an individual or group looking for sponsorship, or a local organisation or business looking to feature in one of our Village Guides please do not hesitate to contact us. 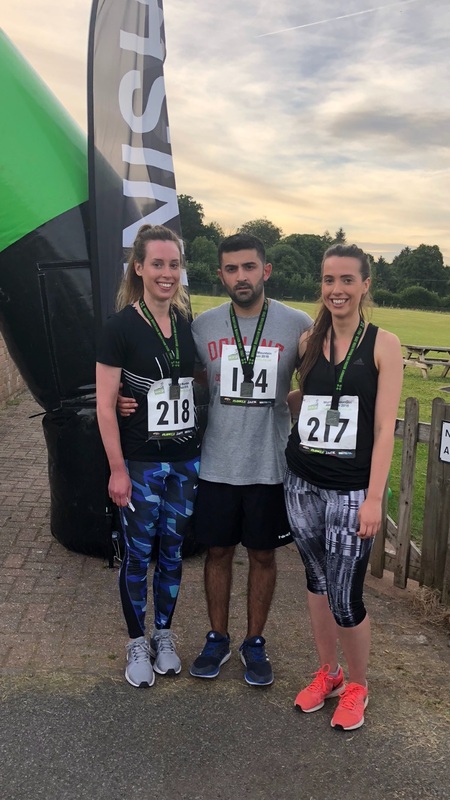 On June 3rd, Georgie, Ash and myself ran a half marathon to raise money for ALD Life in memory of our uncle Jonathon King. Our uncle sadly passed away at the end of last year after a courageous fight with a rare genetic disease, adrenoleukodystrophy (ALD). It was absolutely heart breaking to see him decline. He was one of the kindest, most generous people and is missed every day. As one of the longest surviving victims of this disease we thought it was only right to mark his memory with something that would pay tribute to his determination and strength. Something that would be a real challenge. A half marathon up a mountain, the highest peak in wales, in twilight hours seemed rather fitting. Set in the Brecon Beacons, the course took us through forests, over streams, past waterfalls and up a mountain. It was certainly no ordinary half marathon. It even included part of the ‘Fan Dance@ which is an infamous run taken on by potential members of the British Special Forces as part of the selection process. All money has been donated to ADL Life which is a patient support group and registered charity for patients and families with ALD. The charity is not only providing practical support, but also advancing medical research to find better treatments. This is the sixth year that the Huntingdon 10k charity run has taken place. All profits from the race are given to charities that support people in Cambridgeshire to get more involved and active in their local communities. With 1,000 places in the 10k race and 350 in the 3k race, and new1k Fun Run, runners young and old, whether beginners or experienced runners are encouraged to turn up, get involved and get active for such great causes. 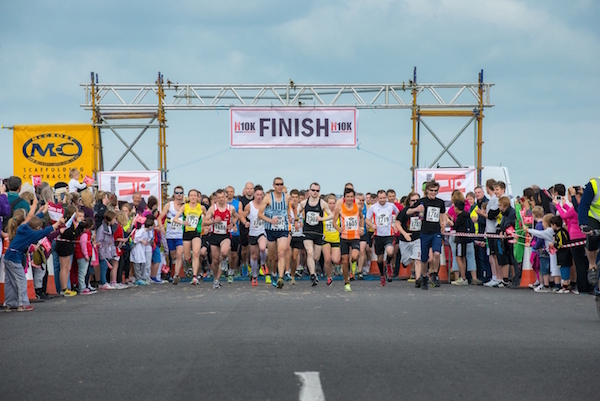 The run takes place on Sunday 21st June 2015 on the former airfield at Alconbury which is being transformed into the Alconbury Weald development. 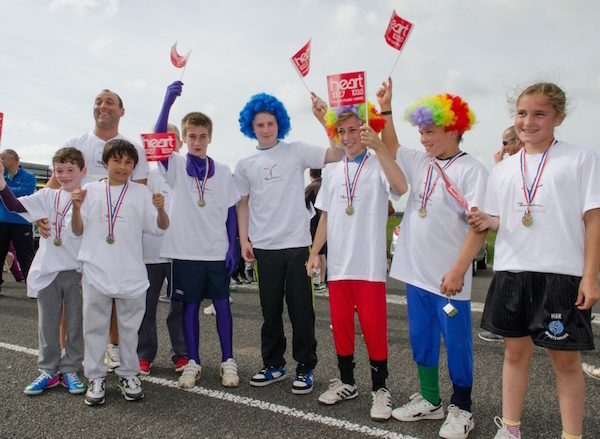 The 2015 Alconbury Weald Spectator Village will have food & drink, stalls and activities to provide runners, their families and friends with entertainment, before, during and after the races. It is a great opportunity to make a family day out and support local charities and organisations at the same time. The majority of the stalls will be under cover in a large marquee sponsored by Alconbury Weald so they can be enjoyed whatever the weather! This year, Malcolms are sponsoring the challenge to break the course record. There is £100 available if either or both the mens and womens records are broken! We are pleased and proud to support Karen Darlow, our Lettings Administrator, in her second ‘Walk the Walk’ in aid of fighting Breast cancer. 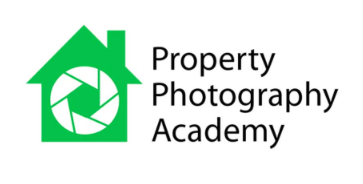 Karen has trained locally, you may have seen her walking around Brampton, Grafham and surrounding villages. But this is not just another walk in the Park, but a 26.2 mile night walk around the City of London, wearing a decorated bra and this year’s theme ‘Saturday night at the movies’. 17,000 women and men take on this iconic night time challenge to help raise £6 million in one night for vital breast cancer causes. 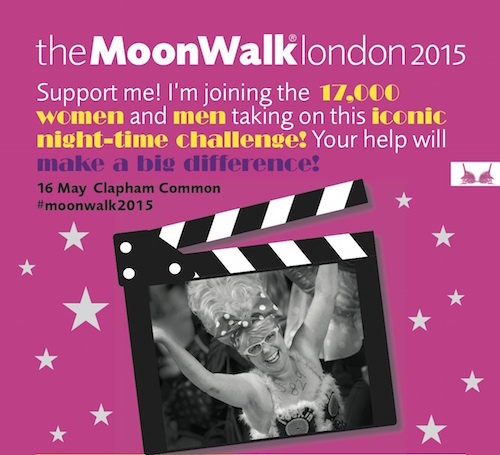 To sponsor Karen on her 26.2 mile walk please visit moonwalklondon2015.everydayhero.com . 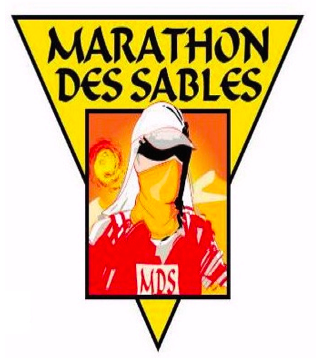 Malcolms are pleased to support Darren Walsh from Cambourne, running The Marathon Des Sables for Cancer Research. One of the toughest races in the world, more than 1,000 runners, carry their own backpack, food and water. Running 230 km covered in 6days with temperatures up to 50degrees Celsius in the Sahara desert.At one point the runners complete a non stop marathon of 76km within a maximum of 34 hours. Organisers have to stock up on 120 litres of water for this stage and 6. 1/2 km of sticking plaster! We feel this is a truly amazing way of drawing attention to and raising money for Cancer research. 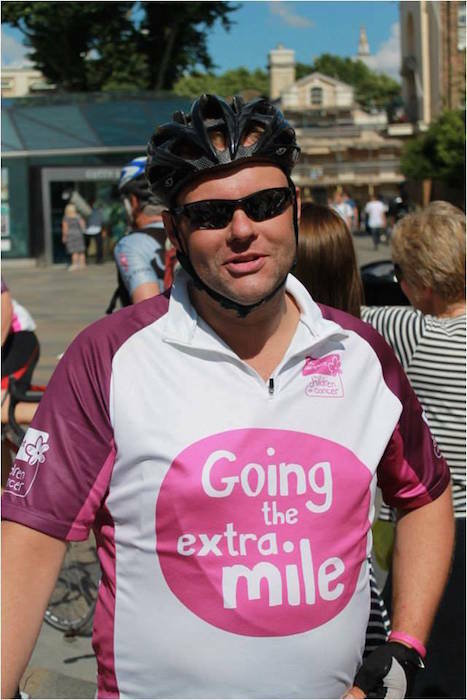 Lands End to John O’Groats Cycle ride in aid of CLIC Sargent for children with cancer. CLIC Sargent is the UKs leading cancer charity for children and young people. They provide clinical, practical, financial and emotional support to help them cope with cancer and get the most out of life. 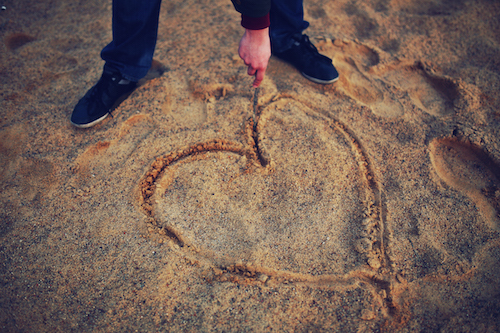 The charity supports the whole family, from diagnosis onwards throughout the treatment, helping deal with the impact of cancer and its treatment, life after treatment and, in some cases, bereavement. Please support Damian as he hopes to raise at least £3,000. Visit www.justgiving.com/Damian-BoyesBartlett or text DDAM99 £5 or DDAM99 £10 to 70070.